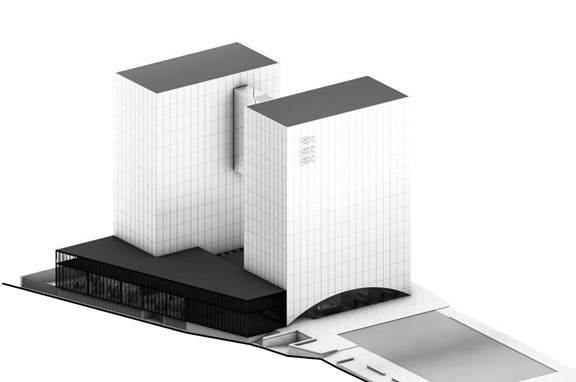 The principal designs for the new Estonian ‘super-ministry’ building (Suur-Ameerika 1/Väike-Ameerika 2, Tallinn) were completed in early November 2016. The building will be home to the Ministry of Finance, the Ministry of Economic Affairs and Communications, the Ministry of Social Affairs and the Ministry of Justice. The architectural plans for the joint building were devised by Karisma Arhitektid OÜ architects Kai Süda, Risto Parve and Mait Väljas. In order to achieve the best possible architectural solution, the company constructing the building, OÜ 2Torni, worked with the Union of Estonian Architects and Riigi Kinnisvara AS to launch an ideas competition that was won by a joint bid of AS Amhold and Karisma Arhitektid OÜ entitled ‘Valged’. The total area of the ‘super-ministry’, including its two levels of underground parking, is 23,124 m². Being constructed on the land of the former Ministry of Finance, it is due for completion by summer 2017. In addition to Karisma architects, the design team included Amhold architects Kaidi Piirimets, Veiko Valge, Gea Veeremäe and Kristiina Way and project manager Jaan Aru.